You couldn’t be more right about both trump and McConnell. Everything you said about what drives trump is spot on. There is only one person he cares about – the mango he sees every morning in the mirror. Anyone who says anything else about his “sacrifices” is oblivious to what he’s doing, how he’s acting and what he thinks he can get out of it in the long run. Sometime the con is long, indeed. McConnell has completely screwed over one branch of the government. I think much of the idiocy of trump can be undone by the next, sane administration. 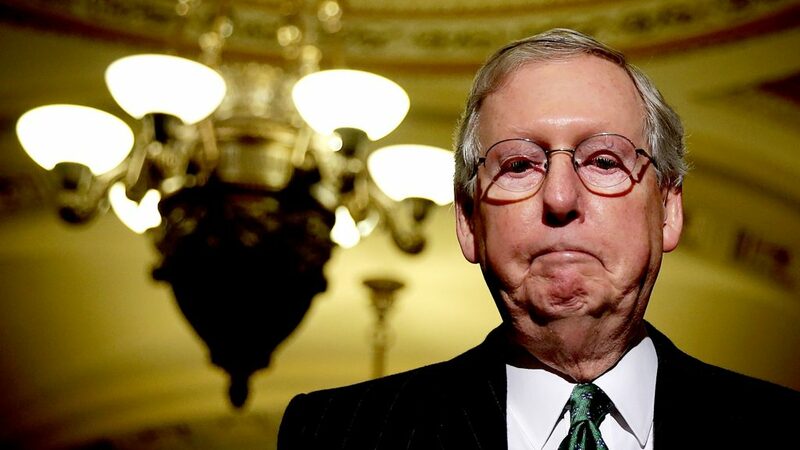 What McConnell has done in the Senate will never be fixed. He is setting precedent after precedent that the next Majority Leaders can use to continue to erode our representative democracy. The most disheartening part of it is that nobody in the GOP is willing to stand up and say something, let alone actually do something. The entire party is complicit and should be ashamed. Sadly, they have no shame. McConnel has wreaked havoc on all three branches of government. He’s destroyed the Senate almost completely. He’s allowed a traitor to destroy the Executive branch. And he’s allowed that same traitor to pollute the Judicial branch with lifetime appointments which will take decades to remove. He is a one-man wrecking ball of American democracy. He deserves exile, prison, or worse. If you could refute it in any meaningful way, you would have. You didn’t, because you can’t.